The General Synod of the United Church of Christ is the national decision-making body for our denomination, responsible for giving general direction to the evangelistic, missionary, and justice programs of the UCC. From June 30 – July 4 members of our denomination gathered to consider a number of resolutions or statements of witness on social and political issues that we (members from throughout the life of the church) believe are of concern. Delegates to the United Church of Christ's General Synod 2017 approved a resolution calling for all jobs to pay a living wage, raising the minimum wage to $15 an hour, job creation so everyone who wants a job has one, and support for workers seeking better wages and working conditions. 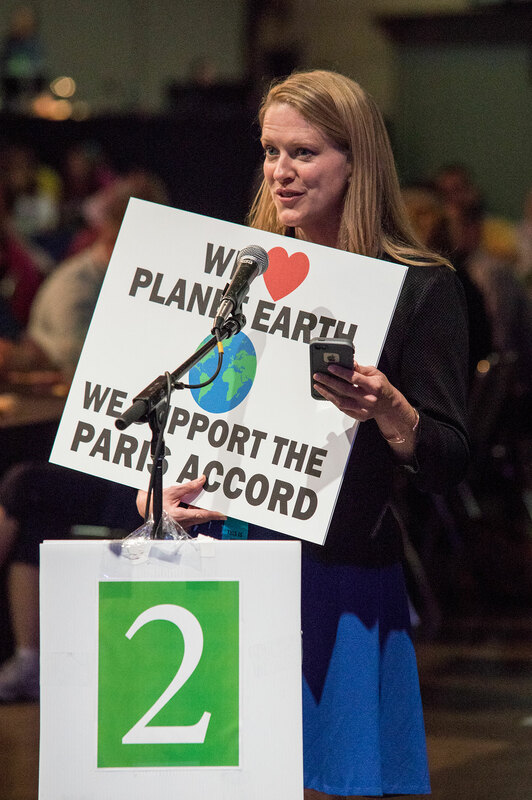 The final resolution was a combination of two resolutions brought before Synod for consideration from the Connecticut Conference and the UCC Economic Justice Movement. (Read more.